Mel Brooks (b. Brooklyn, NY, June 28, 1926) is an American comedy writer, producer, film and stage director, comic actor, composer, lyricist, and famed creator of parodies and farces. His best-known films were both made in 1974, Blazing Saddles and Young Frankenstein; equally renowned is his 1968 sleeper film The Producers which slowly gathered a following over the years until Brooks turned it into an over-the-top smash hit Broadway musical in 2001. Melvin Kaminsky (as he was known before changing his name to avoid confusion with jazz trumpeter and bandleader Max Kaminsky) was the son of a garment worker and a process server. He went to public schools in Brooklyn and enlisted in the US Army at the age of eighteen, participating in the Battle of the Bulge as a combat engineer. After the Germans surrendered, he was promoted to corporal in charge of Special Services, entertaining the occupying Allied forces in Germany. Brooks started out as a stand-up comic on the Borscht Belt circuit in the Catskills, doing accents and impressions, telling jokes, and clowning with hotel guests. While television was in its infancy, he joined the team of writers, which included Carl Reiner, for Sid Caesar’s Your Show of Shows (1950–1954). 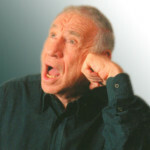 Beginning in 1961, a running gag interview between Brooks and Reiner, The 2000 Year Old Man, became wildly popular on five audio albums. In 1963 Brooks made his debut in film, a field in which he would work in various capacities as idea man, producer, writer, director, and/or actor. A short animated satire of artsy cinema, The Critic was his brainchild, and it won an Oscar® for the director, Ernest Pintoff. Then with Buck Henry, Brooks created the popular television series Get Smart (1965–70), whose protagonist was a secret agent with the proverbial two left feet. The Producers (1968) was Brooks’s first feature film, a comedy about two down-and-out theatrical entrepreneurs who concoct the worst possible Broadway show (its big number is “Springtime for Hitler”) in the hope that it will fail and they will get to run off with the investors’ money. The major studios considered it tasteless (which it certainly was) and refused to distribute the film, but released by an independent company it became an underground hit, winning an Oscar® and a Golden Globe® for Best Screenplay. 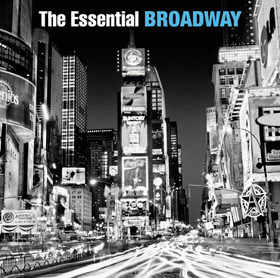 Thirty-three years later, the Broadway show based on this film won twelve Tony Awards®. After Blazing Saddles and Young Frankenstein, Mel Brooks often appeared in his films himself, but the silent movie Silent Movie (1976) and the Alfred Hitchcock take-off High Anxiety (1977) did not do so well at the box office. His favorite actors were beginning to constitute a kind of repertory company – Dom DeLuise, Gene Wilder, Madeline Kahn, Cloris Leachman, and Ron Carey. In 1975 Mel Brooks went back to television with a series about Robin Hood, When Things Were Rotten, that lasted for a scant thirteen episodes. His Robin Hood returned on film, however, almost twenty years later in Robin Hood: Men in Tights (1993). In 1980 Brooks formed his own production company, Brooksfilms, to produce films outside his accustomed bailiwick: David Lynch’s The Elephant Man (1980), David Cronenberg’s The Fly I & II (1986, 1989), Richard Benjamin’s My Favorite Year, Frances, and 84 Charing Cross Road. He directed only two films in the ’80s, History of the World Part I (1981) and Spaceballs (1987), acting in multiple roles in both. A remake, featuring Brooks, of the Jack Benny vehicle To Be Or Not To Be (1983) gave birth to an outrageous music video single known as “The Hitler Rap” that reached Number 12 on the Billboard charts. Brooks is one of the very few who have accumulated Oscar®, Emmy®, Tony®, and Grammy® Awards. His first Grammy® was in 1999 for Best Spoken Comedy Album, The 2000 Year Old Man in the Year 2000 with Carl Reiner. 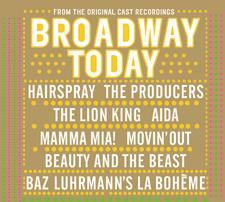 Two more followed in 2002 for Best Musical Show Album, The Producers, and for Best Long Form Music Video for “Recording the Producers – A Musical Romp with Mel Brooks.” His first of four Emmys® came in 1967 for writing a Sid Caesar special; the three others (1997, 1998, 1999) for his role as Uncle Phil in Mad about You. 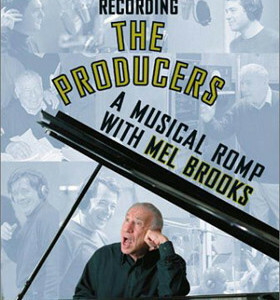 Three of the twelve Tony Awards® for The Producers in 2001 went to Mel Brooks personally, for Best Musical, Best Original Musical Score, and Best Book of a Musical. In 2005 a large-screen version of The Producers was released, starring Matthew Broderick and Nathan Lane in their original stage roles. 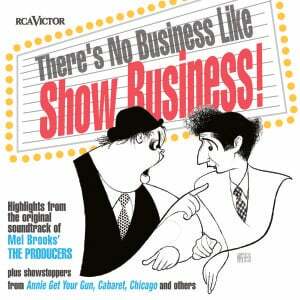 Brooks’s next project was to make a musical out of “the best movie I ever made,” Young Frankenstein. 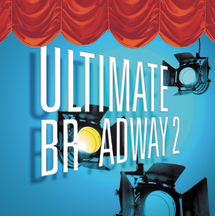 It premiered in Seattle in August 2007 and opened on Broadway the following November. Brooks has also contemplated adapting other material, like Get Smart and Blazing Saddles, for the musical stage. Brooks married his first wife, Florence Baum, in 1951; they had three children before divorcing in 1961. He met actress Anne Bancroft in 1961 and married her three years later; their son Maximilian was born in 1972. They performed together in Silent Movie, To Be Or Not To Be, and Dracula: Dead and Loving It (1995), and appeared as themselves on HBO’s Curb Your Enthusiasm. Bancroft died in 2005 of uterine cancer.